· Effects of changes in design of loco brake system. · Freight & passenger trains with multiple loco operations. · Optimum location of locos in long freight train. · Effects of changes in distributor valve of freight & passenger trains. 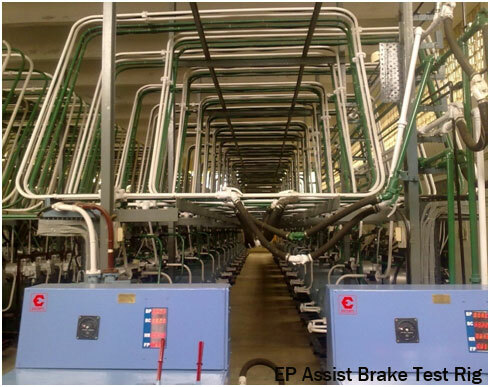 · Effects of leakage rates on release of brakes. · Effects of over charge feature on train operation. · Optimum compressor & reservoir capacity for various train lengths. 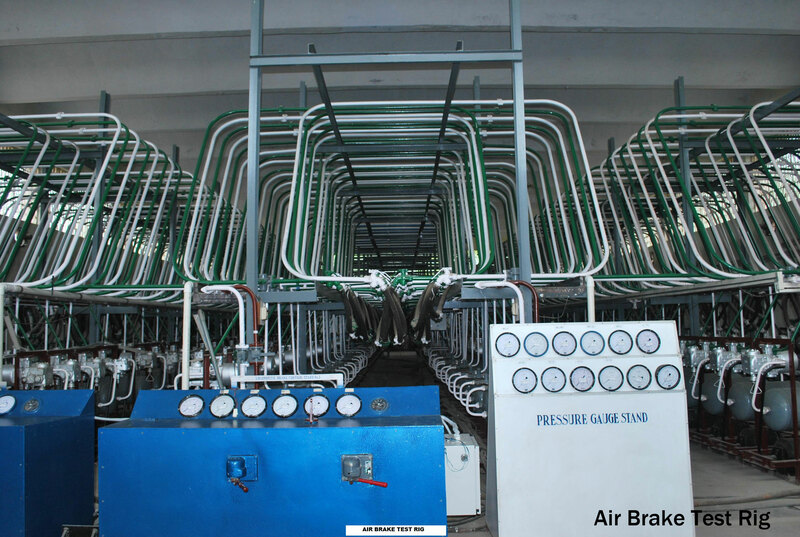 · Twin pipe & single pipe air brake equipment for 132 BOXNB wagons with Data Acquisition System. · Passenger train upto 30 coaches with twin pipe and 30 coaches with E.P. assist brake system with Data Acquisition System. · EMD loco brake system simulator for CCB 1.5. · DV test rig and DV endurance test rig.